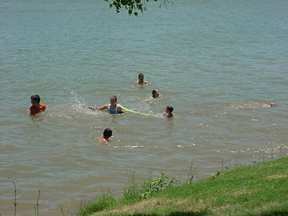 With two rivers and a lake at Kingsland, there is a lot of water activity. 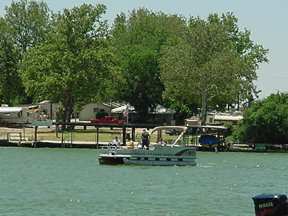 Lake LBJ is normally at a constant level which provides for the best water for boating, waterskiing, jet skiing, fishing and swimming. 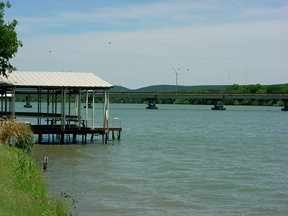 From Kingsland you can boat up the Llano River, up the Colorado River several miles, and down Lake LBJ all the way to Horseshoe Bay, over 20 miles. Kingsland is an unincorporated town of about 5,600 people about 65 minutes northwest of Austin and 85 minutes north of San Antonio. 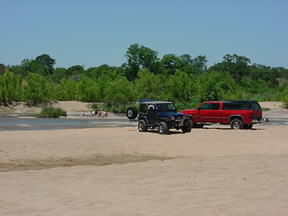 "The Slab" is a popular gathering point on the Llano River just upstream from Kingsland. There is plenty of sand for sunbathing, picnics, games, etc. The water is shallow and perfect for wading. It is a great place to bring the children. Kingsland has restaurants and some shopping. A lot of shopping is avalable in Marble Falls, only 12 miles away. There are two golf courses in Kingsland: The Legends on Lake LBJ and the Lighthouse Country Club (formerly Packsaddle Country Club). 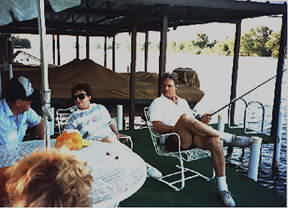 The Legends on Lake LBJ is an 18 hole semi-private golf course build in 2003. 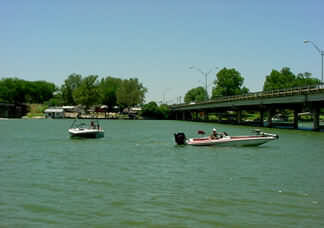 The course is located off of Hwy 2342 on the southeast side of Lake LBJ. The Lighthouse Golf Course in Kingsland is open to the general public. 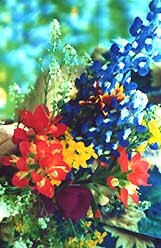 It is located on River Oaks Drive in Kingsland. Show that takes place in Kingsland several times each year.